Speakers: David Kalow, Founding Partner of Kalow & Springut, LLP and Ran Kohn, Executive Director at Cleantech Corridor Inc.
Speaker: Dr. Morton Lippmann, Professor in the Dept. of Environmental Medicine at NYU's School of Medicine. Dr. Lippman is a leader in the fields of human exposure assessment and air pollution health effects. When: Monday, April 16, 2012, 5:30 - 7:30 pm (5:30-6:30 pm: Networking & Buffet Dinner; 6:30-7:30 pm: Presentation) Rescheduled from March. Abstract: In September 2011, President Obama signed into law a sweeping reform of the nation’s patent laws. 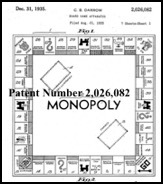 The bill, known as the "America Invents Act," changed the method for determining the priority for patent applications to a "first to file" system from the long-standing "first to invent." It also provided more funding to the federal Patent and Trademark Office. Most of the implentation for this law will take place in 2012. Our April speaker, Barry J. Schindler, a patent attorney at the firm of Greenberg Traurig LLP, is well known to many of us. He has been a frequent speaker at past local section events. On April 16th, Barry will discuss the impact of the changes in patent law resulting from the "America Invents Act," and the implications for your intellectual property and inventions. Bio: Barry J. Schindler has more than twenty years of legal experience in all aspects of intellectual property law, including extensive litigation experience. He has helped companies of all sizes build and manage significant patent portfolios, develop in-house procedures, and formulate intellectual property strategies. He positions clients to gain a competitive advantage by identifying patentable subject matter and drafting claims in such a way that infringement becomes possible to prove. Barry has wide-ranging experience in business methodology, a rapidly emerging area of intellectual property, and has provided counsel to some of the world's most innovative corporations, including a preeminent financial services organization, leading financial trading organizations, numerous leading health organizations, search engine organizations, media companies, and other financial institutions. He lectures widely on business methods. Costs: for Networking, Buffet, and Presentation. Register Now. • free for all Students (Students RSVP). If you are not a Member of this Section, you can apply the $10 additional amount paid as a Guest to a full Membership for 2012. Please notify Treasurer Joel Kirman that you wish to be a Member. Register Now.